More Than Words Follow Your Dreams Figurine. 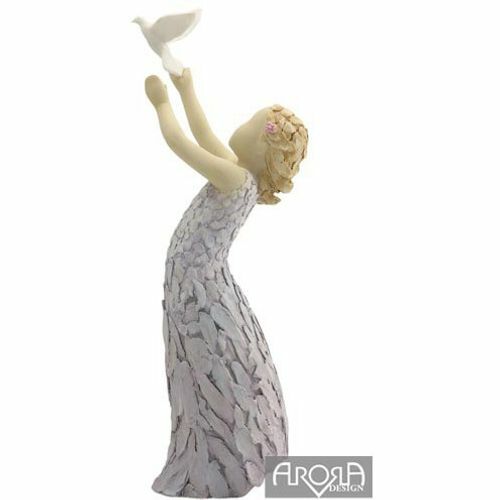 A beautiful figurine showing a young girl in a flowing grey dress, with a white dove gracefully leaving her arms. The adorable figure wears a tiny pink flower in amongst waves of golden hair, as she beholds the bird flying skyward. A wonderful gift of inspiration and encouragement, especially for children.